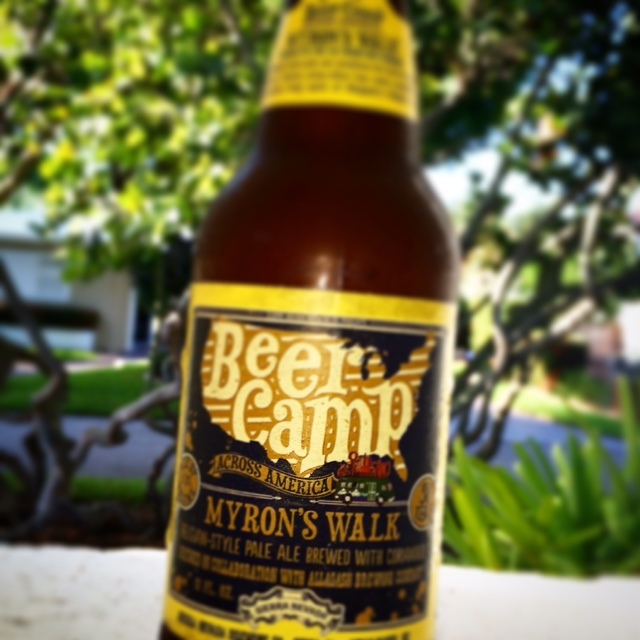 As I prepare to enjoy my last Beer Camp brew it seems it is not all about wine in my work life. 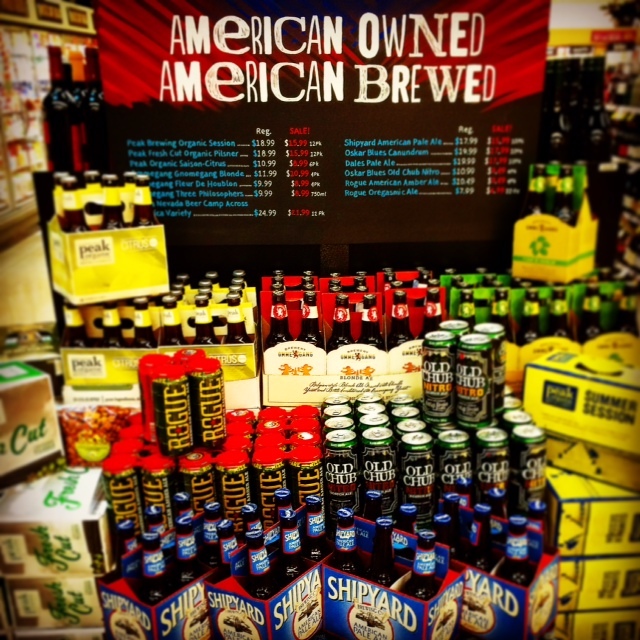 Beer is also a large part of my job as a Specialty Beverage Buyer for Whole Foods Market. Admittedly beer is something I enjoy learning about. But truth be told I enjoy drinking it too! Discovering new brews and old world styles that have been around for centuries is not only a job benefit but a fun hobby. 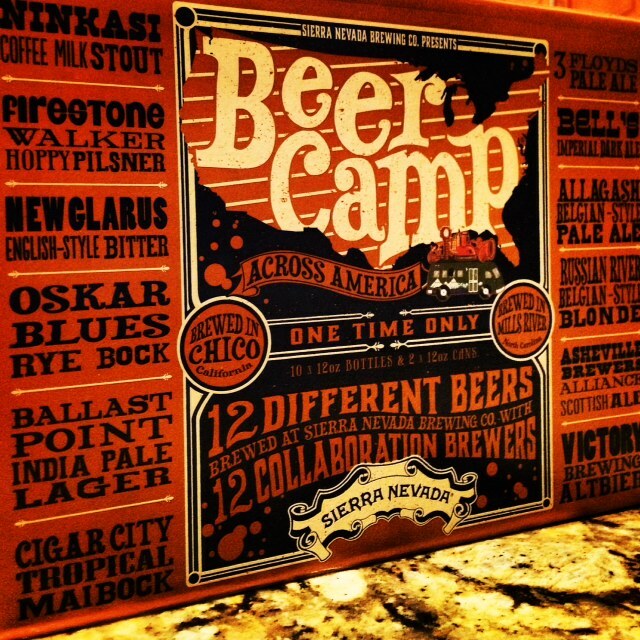 Thanks to beer-maker Sierra Nevada Brewing Co. and their Beer Camp Across America variety pack the craft-beer bandwagon is getting even more attention than it usually does. And the traffic in our store shows it. Sierra Nevada partnered with a dozen exceptional craft breweries to create 12 different beers for one mixed 12-pack—including 10 bottles and two cans—a first in the craft beer world. 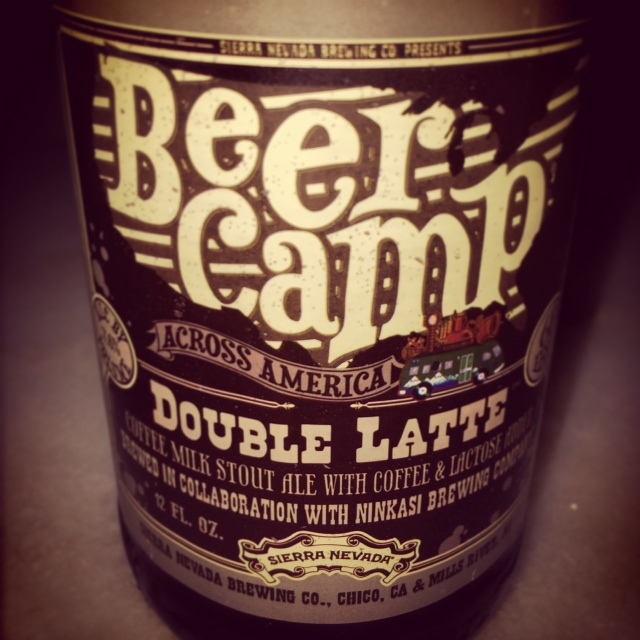 Beer Camp Across America is a tribute to the art, and sometimes absurd ambition, of American craft beer. This unprecedented variety pack is a celebration of our collective spirit: 12 different collaboration beers brewed alongside 12 exceptional brewers, together showcasing the sense of pride and passion shared by craft brewers nationwide. Beyond the pack, we’re embarking on a seven-city traveling beer festival. Join the tour and help make this the largest craft beer celebration in history! This is how my idea for The 12 Days of Beer Camp came to be. With excitement building prior to its arrival [daily requests], the actual arrival, the set up of our American Owned American Brewed display and our quickly selling out of Beer Camp: yes I too along with team members and customers got caught up in the moment. Cigar City Brewing, Ballast Point, Oskar Blues, New Glarus, Firestone, Ninkasi, 3 Floyds, Bell’s, Allagash, Russian River, Asheville Brewers Alliance and Victory. Ninkasi Brewing Company, Eugene, OR | Double Latte Coffee Milk Stout Inspired by the perennial café favorite, Double Latte combines two of the greatest things in life: good coffee and great beer. Oregon’s Ninkasi Brewing knows their way around a good cup of joe. Featuring cold-press coffee from the legendary Stumptown Coffee Roasters and a dose of milk sugar, this coffee milk stout is a rich and roasty treat. 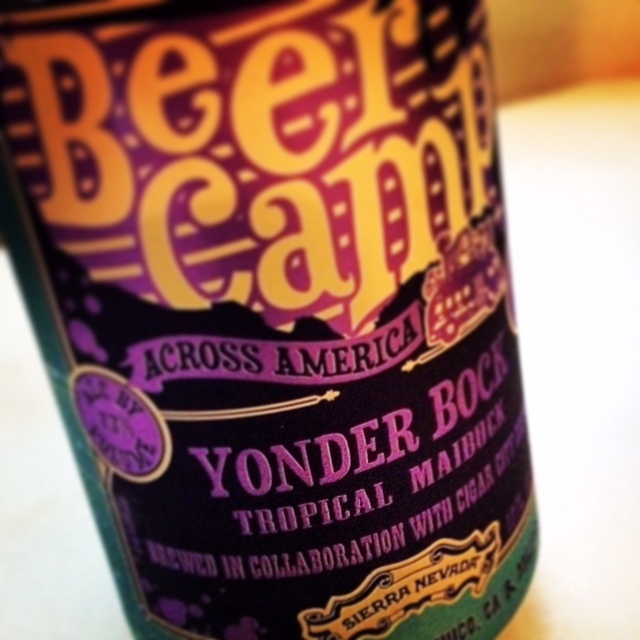 Cigar City Brewing, LLC, Tampa, FL | Yonder Bock Tropical Maibock Yonder Bock is a summery twist on the robust blonde bock. Its silky, semi-sweet malt body is bolstered by a blend of new and experimental hops that impart bright, fruity hop aromas of guava, mango and passion fruit. My notes: golden amber/red color. Sour citrus and guava on the nose. Mid-level hoppiness. Reminds me of a Belgian style beer with added hops. Sweetness comes in to play as it warms. BU 45/ALC 7.7%. 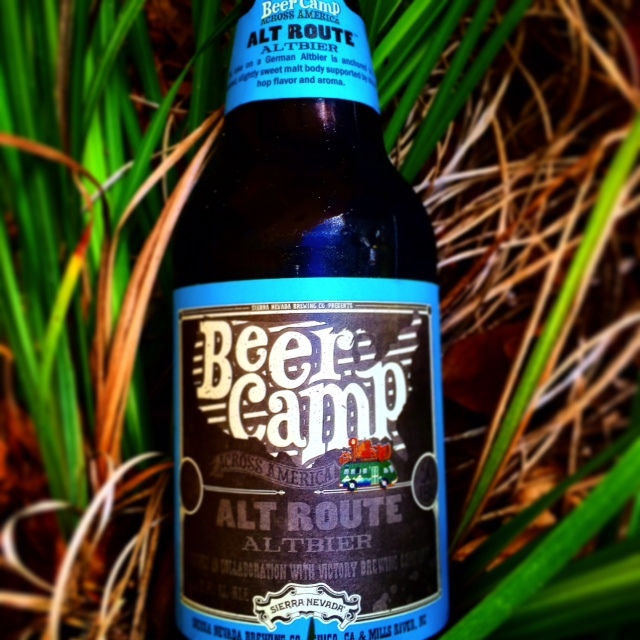 Victory Brewing Company, Downingtown, PA | Alt Route Altbier Alt Route is our take on the old school German Altbier style featuring an ale-lager hybrid yeast, which is top fermenting and fruity like an ale, but matured at cool temperatures for a clean, lager-like flavor. This deep amber beer has a slight emphasis on the richly layered, slightly sweet malt body with enough citrusy hop flavor and aroma to produce a balanced, dry finish. 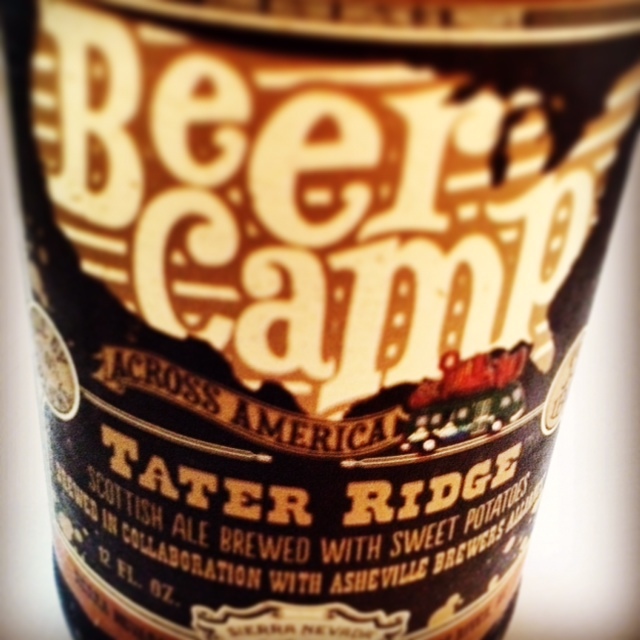 Asheville Brewers Alliance, Asheville, NC | Tater Ridge Scottish Ale Tater Ridge pays homage to our area’s Scottish Highland history, and its craft brew pioneers. With a hint of down home Southern flair, this Scottish ale is rich and malty, using special floor-malted six-row barley from Asheville’s Riverbend Malting, and has a smooth kick from the use of sweet potatoes, a tasty Southern staple. My notes: Caramelized amber in color. Caramel and light hop on the nose. Hoppy finish. A perfect example of what I consider a Scottish Ale to be. No sweet potato detected though. BU 35/ ALC 7%. New Glarus Brewing Company, New Glarus, WI | There and Back English-Style Bitter There and Back is a classic, sessionable, English-style Bitter—easy-drinking but full of flavor. It features nutty, toasted Golden Promise and English Crystal malts balanced by a solid dose of zesty hops, with a fruity dry finish from the use of an authentic English yeast. 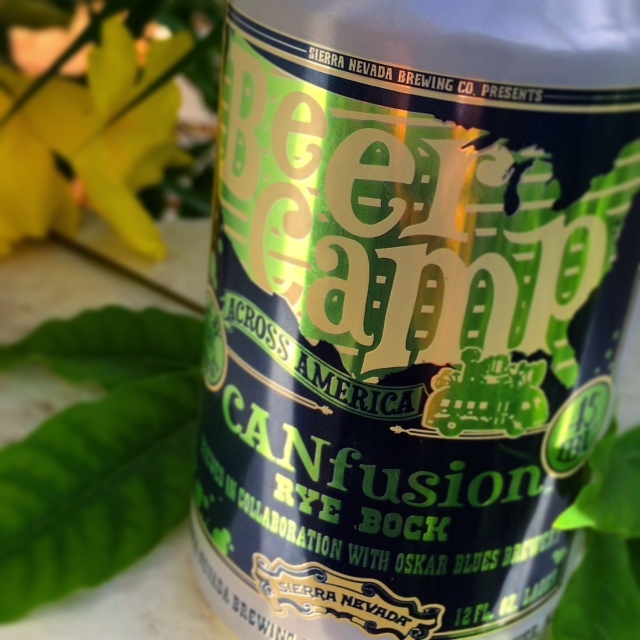 Oskar Blues Brewery, Longmont, CO/Brevard, NC | CANfusion Rye Bock CANfusion is a dry-hop rye bock with a complex malt body that launches a peppery blast from the rye, balanced by a fruity hop aroma. As the style suggests, it was dry-hopped for an added aroma punch from the unique citrusy and spice-like Australian Ella hop varietal. 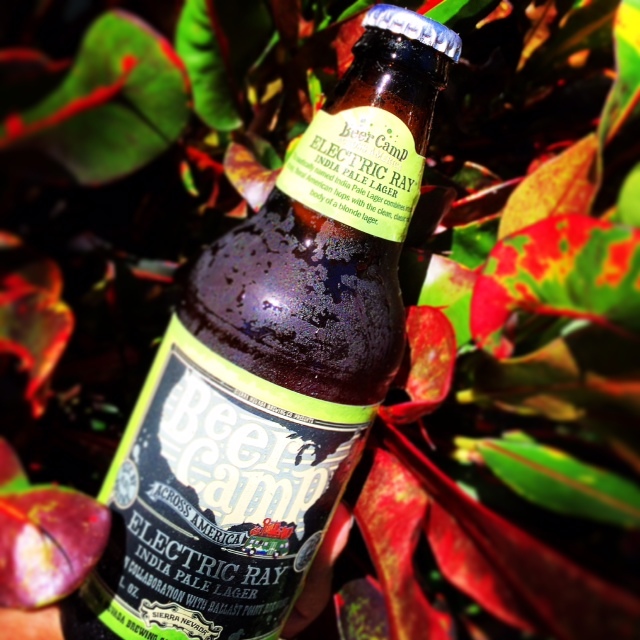 Ballast Point Brewing Company, San Diego, CA | Electric Ray India Pale Lager Electric Ray is an IPL—Imperial Pale Lager—combining intense citrusy and floral American hop aroma with the clean, crisp, classic malt body of a robust blonde lager. It is both traditionally dry-hopped AND torpedoed with whole-cone American hops for an intense grapefruit and rose-like nose. My notes: sour, citrus hop on the nose. Golden amber in color. Hop sweetness on palate, malt finish. A slow drinker. BU 70/ALC 8.5%. 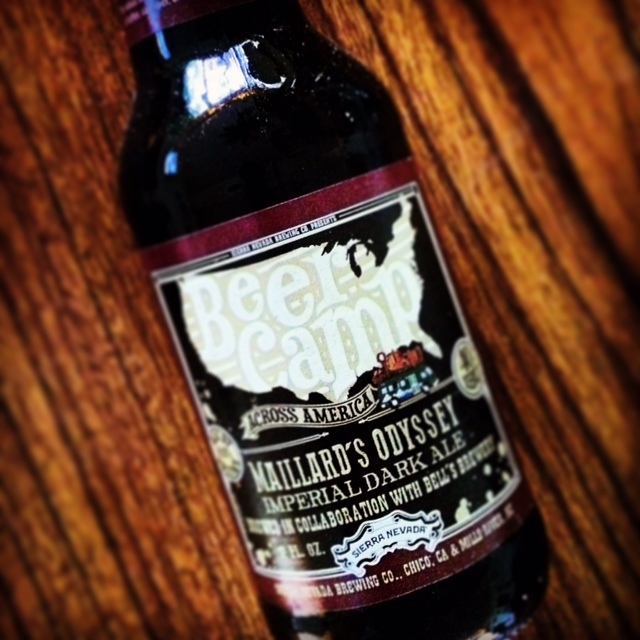 Bell’s Brewery, Inc., Kalamazoo, MI | Maillard’s Odyssey Imperial Dark Ale Maillard’s Odyssey is a robust dark ale layered with complex malt flavors of toffee, caramel, chocolate, coffee, and dark fruit. This malt-focused concept spawned a daunting grain bill featuring 10 different grains including pale malt, Munich, chocolate malt, oats, dark wheat and roasted barley for a rich, semi-sweet and intense experience. My notes: intense dark chocolate brown/black in color. Dry seeming at first with slight sweetness at mid-palate. Coffee on the nose and palate with sweetness developing as it warms. Malt finish. BU 40/ALC 8.5%. 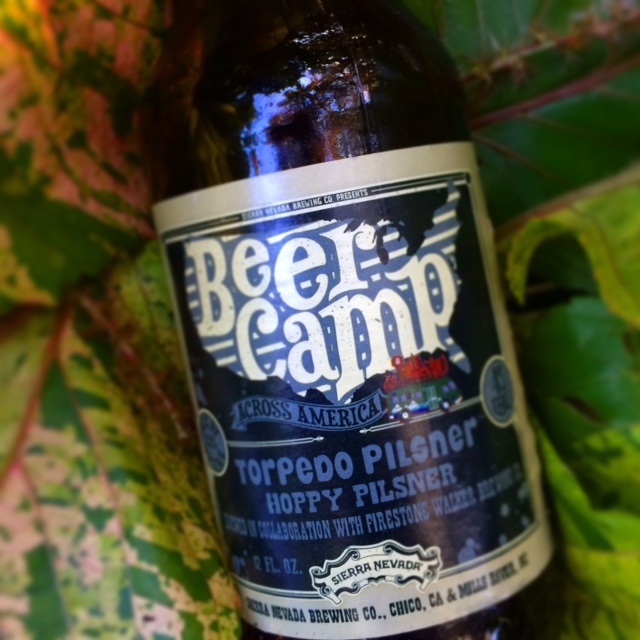 Firestone Walker Brewing Co., Paso Robles, CA | Torpedo Pilsner Torpedo Pilsner ditches the traditional German “noble” hops and heads south of the equator for inspiration. With a traditional golden malt body, this “kiwi” pils features intense fruity and floral New Zealand-grown Motueka and Southern Cross hops, making this an alternate and delicious take on the classic pilsner. 3 Floyds Brewing Co., Munster, IN | Chico King Pale Ale Chico King is a regal yet raucous take on the pale ale that both our breweries adore. It features a complex malt body from the use of an undermodified malt, which leads to a complex and nutty malt flavor, and a bright fruit-forward blend of Mosaic, El Dorado and Calypso hop varietals. 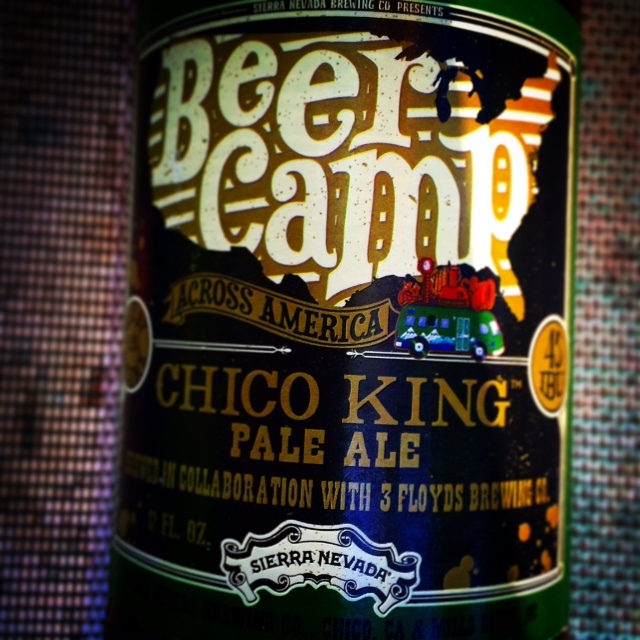 Chico King is a beer fit for royalty. Allagash Brewing Company, Portland, ME | Myron’s Walk Belgian-Style Pale Ale Myron’s Walk is a Belgian-style pale ale combining the best of our two breweries. It features intense citrusy flavor and a complex aroma from the use of fruity and resinous whole-cone Citra and Mosaic hops offset by the complex spicy character of Allagash’s house Belgian yeast strain. 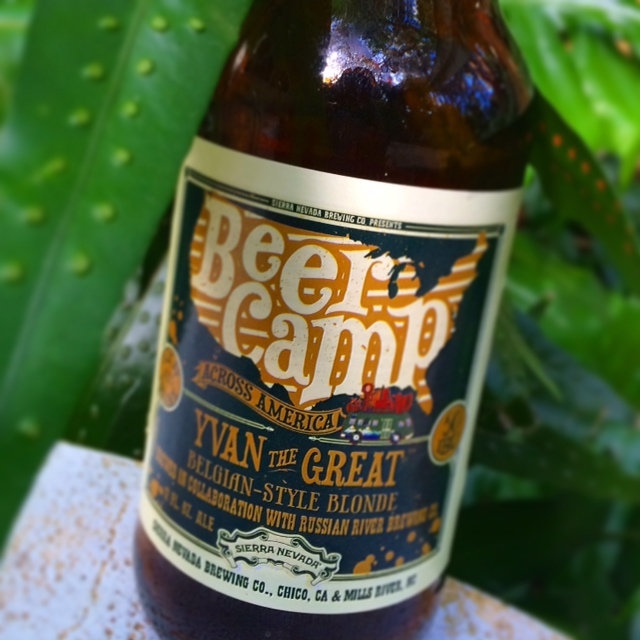 Russian River Brewing Company, Santa Rosa, CA | Yvan the Great Belgian-Style Blonde This genre-bending beer has the bright, resinous hop profile of an American IPA blended with the dry and complex yeast character of a Belgian farmhouse ale. Yvan the Great is a perfect combination of the two brewing styles—hoppy, dry, spicy, and impressive. My notes: cloudy golden yellow in color. Yeasty nose. With notes of citrus; grapefruit, lemon and pineapple on the palate. BU 50/ALC 6.3%. 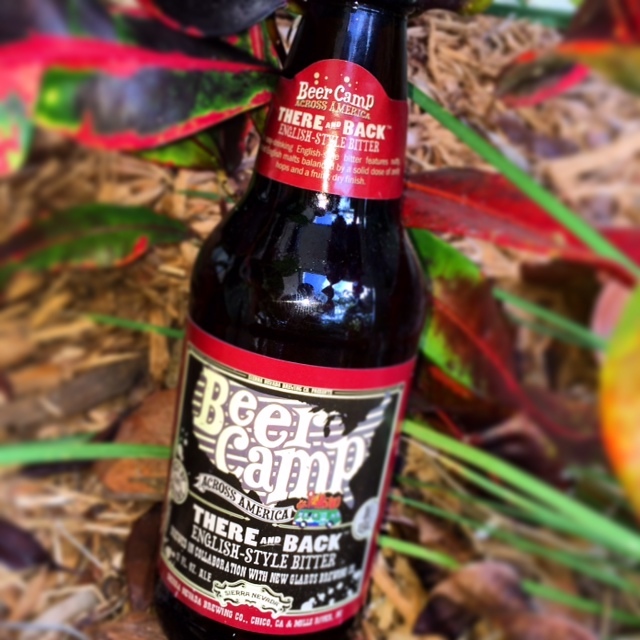 Oh……BEER CAMP you and the friends made along the way will be missed. Thanks goes to Sierra Nevada and all the brewers who reached out, commented on my posts and even used my photos on their websites. Oh Beer Camp where did the time go? Twelve days just wasn’t enough. ¡SALUD!